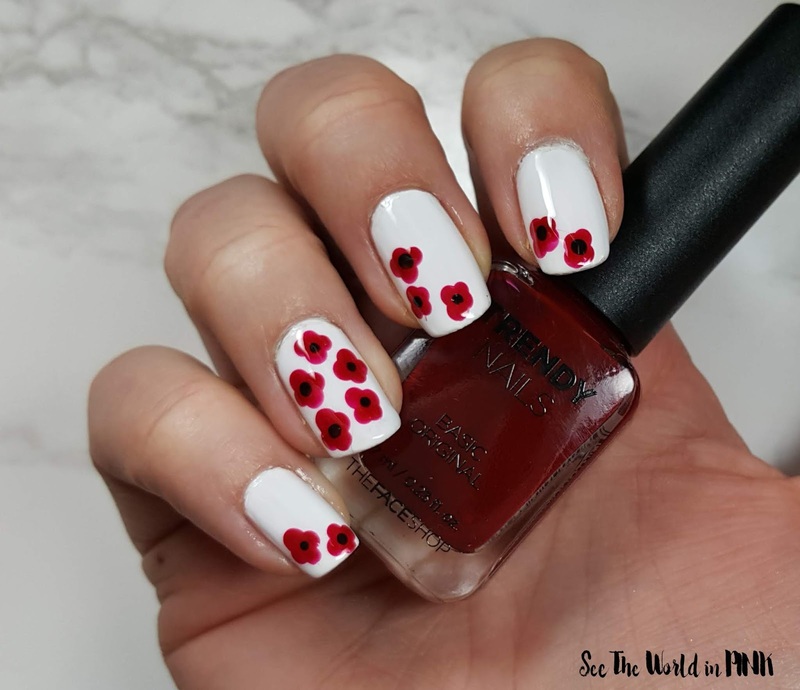 For my nails this week, I am doing Remembrance Day nails and poppies are very representative of this day - we wear them on the day and leading up to Remembrance Day. The Remembrance Poppy was inspired by the famous World War I poem - "In Flanders Field" by John McCrae. This week's nails were simple to do: all you need is white, red, and black polishes, as well as a dotting tool. 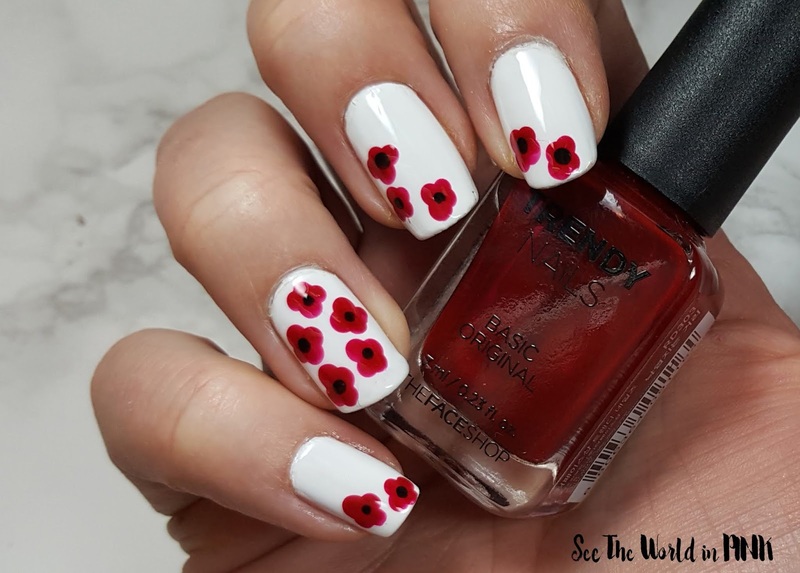 I started with two coats of the white base polish, then with a big dotting tool I dotted each poppy with four dots, then added a little black dot for the centre. 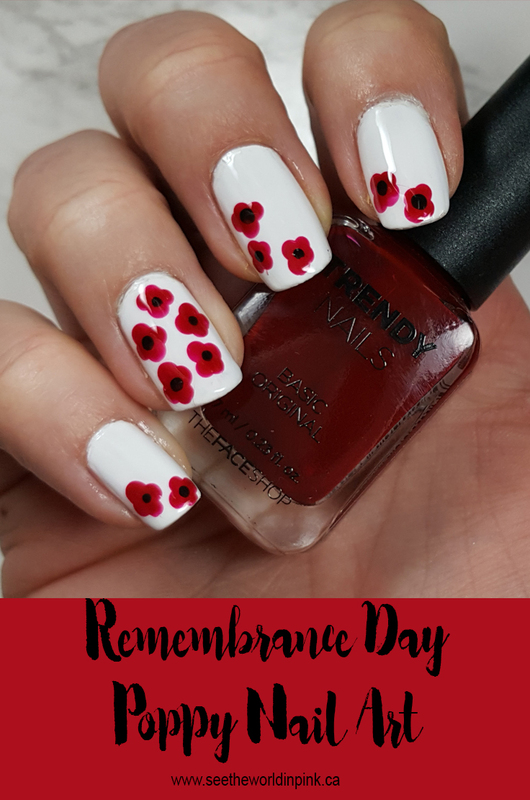 Our regular #CBBxManiMonday group is all doing Remembrance Day nails, make sure you check out Cosmetic Proof, Prairie Beauty Love, and Tea & Nail Polish to see their nails as well! Hahaha whoops! I was so worried that I wasn't going to get it done and I might have been the only one who did it on the Sunday! hahaha!